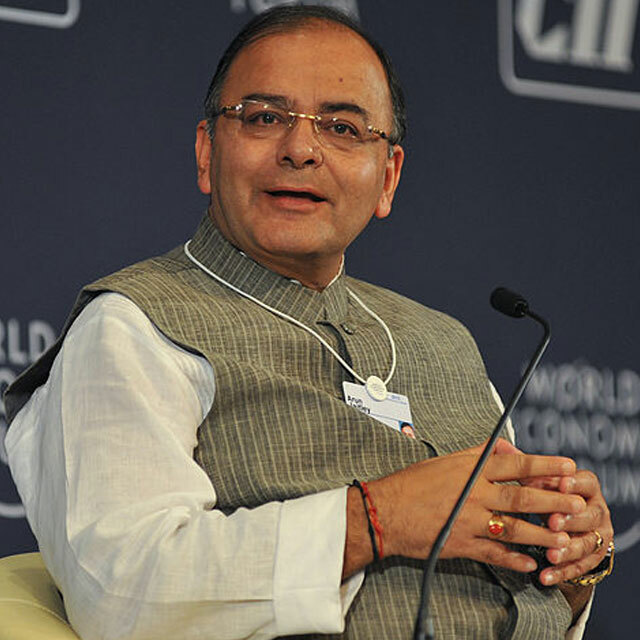 Finance Minister Arun Jaitley barely touched upon the healthcare sector in the Union Budget, raising the tax exemption on health insurance premium payments and proposing five new AIIMS in the country. He skipped past most of the key wish-list prepared by the healthcare industry and most importantly disappointed industry insiders with the less-than-spectacular allocation of public health expenditure. The industry was hoping to see widespread public health insurance scheme, sops for domestic manufacturing of medical equipment and innovative public partnership model to juice up healthcare delivery. Many also expected to see higher tax deduction for medical expenses by a taxpayer, which remains at Rs 15,000 a year. The Budget did not oblige on any of them and the only significant measure was the increase in tax exemption under Section 80D for individual taxpayers. For general taxpayers the exemption limit for media insurance premium in a year has been raised from Rs 15,000 to Rs 25,000; for senior citizens from Rs 20,000 to Rs 30,000 and for those above the age of 80 years, who are not covered by health insurance, deduction of Rs 30,000 towards expenditure incurred on their treatment. It also provided organised sector workforce an option to choose between ESI health cover and those provided by other agencies approved by IRDA. The public expenditure on health at Rs 33,152 crore was not something which excited anyone in the industry though some hoped if it was channelled properly it may still help the industry. Although there was not much direct benefit for the local medical equipment makers who were expecting sops as part of the Make In India programme, some like healthcare services did get some indirect benefits. For instance, excise duty on chassis for ambulances is reduced from 24 per cent to 12.5 per cent. This would reduce the cost of buying such ambulances by hospitals. Further the ambulance services provided to patients are being exempted from service tax. On another front the FM spoke about setting up five new flagship public healthcare hospitals on the lines of Delhi's AIIMS in the states of J&K, Punjab, Tamil Nadu, Himachal Pradesh and Assam. We spoke to a cross section of the industry stakeholders including hospital operators, diagnostics chain firms, healthcare investors and medical device makers to gauge their reactions on the budge. Ajay Bakshi, CEO & MD of Manipal Health Enterprise, said the move of increasing exemption for health insurance premium will enable people to seek out for quality healthcare and the five new AIIMS will begin to address the huge shortage of doctors and skilled staff. “However, the allocation of Rs 33,150 crore towards the healthcare sector comes as a disappointment as the government has not kept up with its promise of increasing expenditure on public health,” he said. Viren Shetty, director and senior VP - strategy and planning, at Narayana Health, said if the government spends the targeted public health budget for upgrading 500 district headquarter hospitals into medical colleges, it will fill the shortage of three million specialist doctors desperately required in rural India. “Also, allowing workers to choose between ESI or alternative health insurance programmes is a positive move. Choice benefits the customer and this will go a long way towards improving health access for the hardest workers of or country,” he said. Utkarsh Palnitkar, head of Advisory and national leader of pharma sector, KPMG in India, said the Budget was a non-event for the drug-makers despite the Make in India campaign. He said other than the proposal to set up three new National Institutes of Pharmaceutical Education and Research, in Maharashtra, Rajasthan, and Chhattisgarh, the pharma sector had no takeaways from the Budget. Ameera Shah, MD & CEO, Metropolis Healthcare, said that the allocation for public health expenditure does not send the right message and the FM has not tackled an even larger issue of under-utilising the public health spends or ensuring that it goes into the right place. She said the government’s vision of including every citizen in the ambit of health insurance is progressive, but that can only work in tandem with preventive healthcare. Vishal Bali, chairman, Medwell Ventures and Asia head for healthcare investments of TPG Growth, said the Budget does not deliver to the expected transformation of the healthcare sector in the country under the promise of the universal healthcare coverage or the Make in India initiative. He pointed out that the public healthcare allocation is similar to the outlay in the previous Budgets and does not translate to the much anticipated 2 per cent of GDP spend. “The Budget is silent on the promise of the National Health Assurance programme and a distinctive thrust under the Make in India programme for the medical technology sector,” he said.